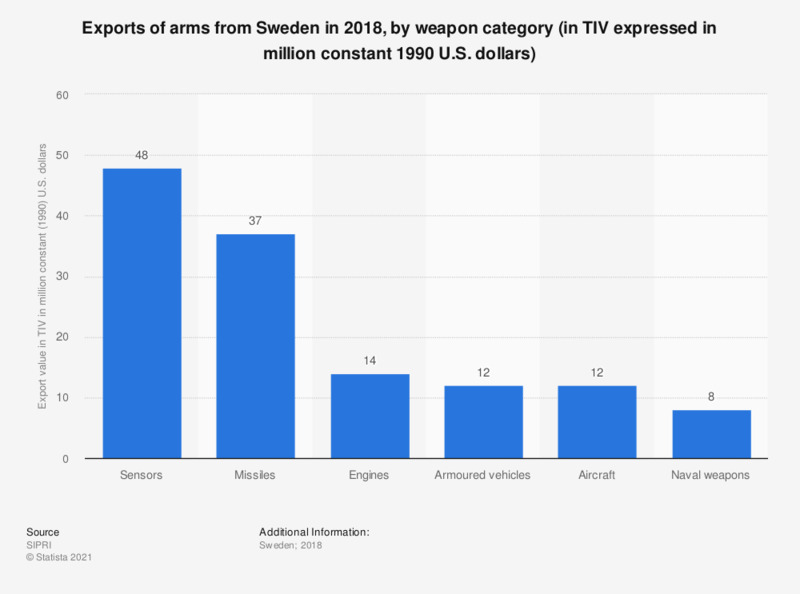 This statistic shows the trend-indicator-value (TIV) of the exports of arms from Sweden in 2017, by weapon category. The TIV is based on the known unit production costs of a core set of weapons and is intended to represent the transfer of military resources rather than the financial value of the transfer. The TIV is expressed here in million constant U.S. dollars as of 1990. In 2017, exports of sensors from Sweden amounted to 12 million constant (1990) U.S. dollars. *The source adds the following information: "A '0' indicates that the value of deliveries is less than 0.5 million"